Dahni Reynolds, Mansfield City Schools’ board certified behavior analyst, reviewed the tools with Springmill STEM Elementary teachers on Friday, completing a week of training for staff at each elementary and the Spanish Immersion School. The sensory materials range from weighted lap pads to core disks (sensory seats) and from visual timers to stress balls and fidgets. All are designed to assist teachers in helping children self-regulate their behavior and improve learning. 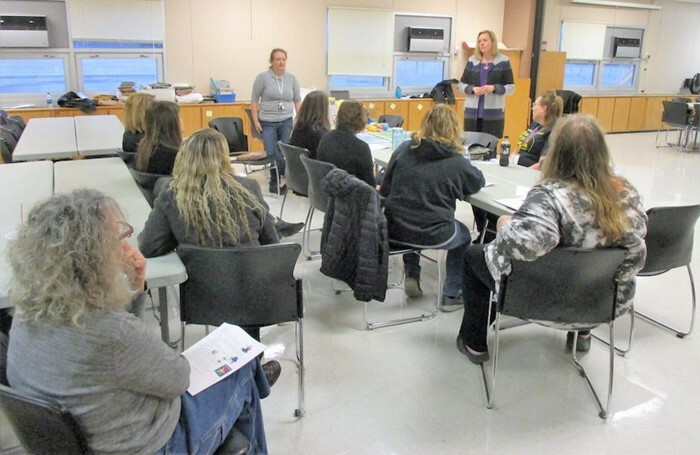 Teachers at Springmill STEM Elementary listen as Dr. Holly Christie and behavior analyst Dahni Reynolds explain the items in each classroom’s sensory materials bin. “It is important to remember this: There is evidence that these items work to improve student behavior,” Reynolds told the Springmill staff. Most students don’t require the sensory tools, she said, but for those who do, the tools can improve both learning and behavior. A four-pound lap pad which provides proprioceptive or deep touch pressure to a student’s legs as it rests on his/her lap when in a seated positon. Weighted lap pads have been found to be particularly helpful for those with sensory processing disorder or attentional difficulties because proprioceptive input has a calming, grounding effect. Core disks or sensory seats – sometimes referred to as “wiggle seats” – can be used on a student’s chair to allow gentle bouncing or rocking while the student remains in his/her assigned seat. The calming effect makes it easier for children to focus in the classroom. Bouncy chair bands are elastic strips secured at the proper height to the front legs of chairs. Students may put their feet on them and gently bounce their legs up and down while remaining seated. The sensory stimulation allows children to improve their concentration while stretching to release anxiety and frustration. 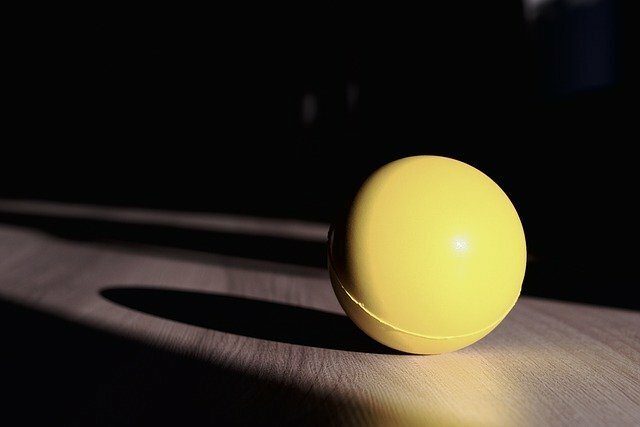 Stress balls or fidgets provide outside stimulus as a coping mechanism to help children maintain focus. Hyperactive, anxious or nervous students can benefit from keeping their hands busy and off other students and objects. Colorful hourglass-type timers or clock timers are used with individual students or an entire class to clearly display time expectations. When children can look and see for themselves how much time they have left to complete a task, it empowers them to take responsibility for their routines and transitions.